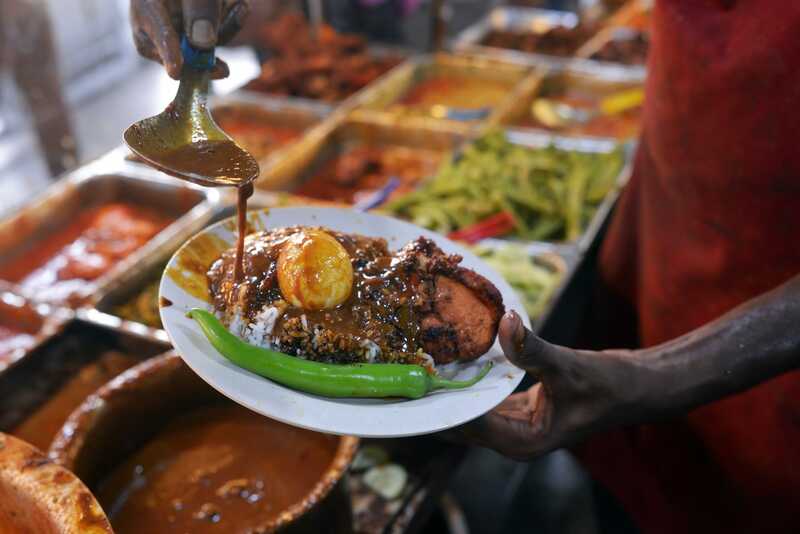 A 3-day trip to Penang is a journey through the unique multicultural makeup of Malaysian food, culture and identity that makes this Southeast Asian nation so diverse. Packed into one beautiful island destination are influences from across the world. 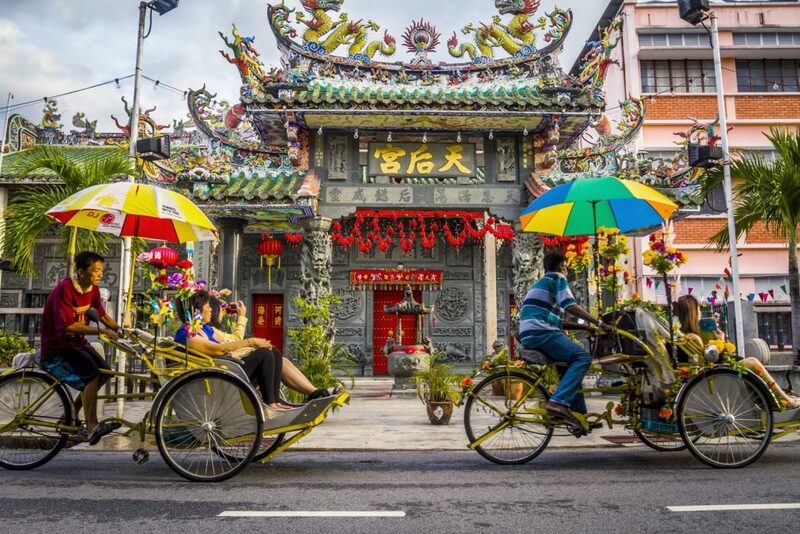 Explore the historic streets and modern street art of the UNESCO recognized George Town, where colonial era British buildings stand side by side with Chinese clan houses and Hindu temples, and world famous graffiti and artistic murals are waiting around every corner. And of course, don’t forget the food. One of the best things to do in Penang in 3 days is to eat. The island is famous for its incredible street food, mixing Malaysian, Chinese, Indian and Western influences to produce outstanding cuisine. Our 3-day Penang itinerary will help you make the most of your Malaysian island getaway because we will share with you all of the best places to visit, the best places to stay and most importantly, the best places to eat in Penang. The best time to visit Penang is generally between November and the end of January. Penang experiences hot, tropical weather all year round, but November, December and January tend to be the coolest, most pleasant months that see the least rainfall. However, this is also when places are at their busiest. May through November is when the annual monsoon rains begin to fall, but in general, Penang will only see a few hours a day of heavy rain and the remainder of the day will be dry. George Town is one of the best places to stay in Penang for budget and boutique accommodations. Many old Chinese shops are now converted into hostels or open courtyard-style hotels, all within easy reach of the world heritage areas. The Old Penang Guesthouse is located right in the heart of the heritage streets of George Town. 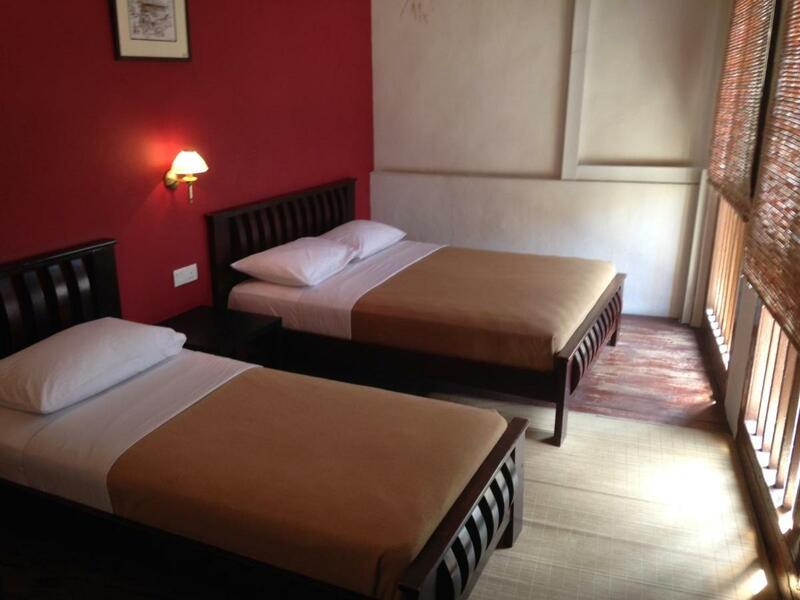 The guesthouse is located within a traditional Chinese-style building, and the rooms are budget-friendly but of a great standard considering the price and location. Campbell House is located on Campbell Street, one of the main roads within George Town’s heritage area. The hotel is a converted heritage house, offering a historic atmosphere but with more luxurious rooms and amenities. Overlooking Batu Ferringhi Beach, the Shangri-La in Penang is one of the most luxurious, upmarket options on the island. The resort is known for its spa treatments and relaxing surroundings that keep visitors among the nature of Penang while experiencing untold luxury in a secluded area. The best way to get around George Town is by foot or the free CAT shuttle bus. The CAT bus connects much of the old town with the ferry terminals from the mainland and from Langkawi, making it very convenient to use. To reach destinations outside of George Town you have to take one of the buses serviced by Rapid Penang, the local bus service. Rapid Penang operate buses across Penang and to the major tourist destinations such as Penang Hill and Taman Negara, as well as to the airport. Taxis should generally be avoided because many drivers are reluctant to use the meter and will try to rip you off. A better alternative to taxis is Grab, an app similar to Uber. It is used extensively in Penang and prices are super cheap. Renting a car might also be a viable option, especially if you are planning to spend some time outside of George Town. To check car rental prices click here. Penang is a safe destination to visit within Malaysia. The only places to be careful of are the bar and drink-heavy areas of George Town late at night because things can get rowdy. In general, if you follow standard travel advice, your trip to Penang will be hassle-free. Penang has a very diverse community, and in George Town and across the island you will hear Malaysian, Tamil and Chinese dialects spoken within different communities. Locals will speak very good English too, as this is the lingua franca that connects these different groups, left over from the British colonial days. Before we get to our itinerary we just wanted to remind you to purchase travel insurance. You never know what will happen and trust us, you don’t wanna get stuck with thousands of dollars in medical bills. As a wise man once said, “If you can’t afford travel insurance, you can’t afford to travel.” So don’t leave home without it. We recommend World Nomads. Now with that out of the way, let’s get to this Penang itinerary already! Your first day needs to be spent getting thoroughly acquainted with George Town. 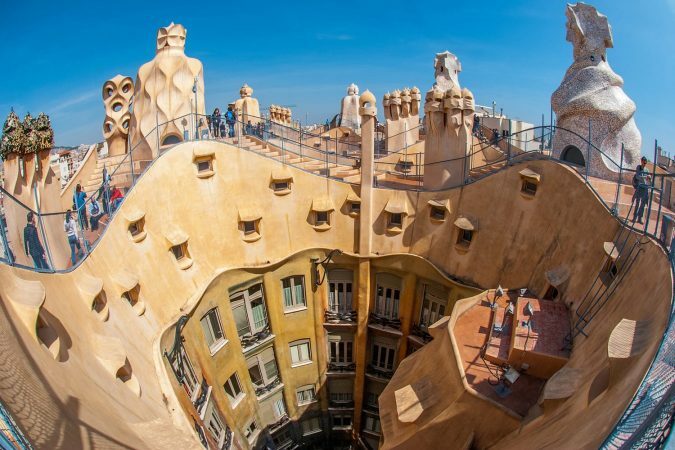 This is the island’s largest city, site of the UNESCO World Heritage Old Town and home to some of the most vibrant street art, most delicious street food and most fascinating cultural and historic experiences in the country. The old streets of George Town really are the best of Penang. George Town was founded by the British back in the 1780’s and they quickly grew it into a diverse, multicultural trading hub, welcoming in Chinese settlers and Indian workers to live alongside the Malays and Europeans. The UNESCO streets of George Town are best traversed on foot or in classic style by rickshaw to fully experience the old shop fronts, houses and the many beautiful works of street art found among the narrow alleys and historic lanes. Don’t be afraid to get lost, you never know what fascinating works of art or hidden museums you might stumble across in George Town. Along the shorefront of George Town are many old, wooden Chinese jetties dating back to the 19th century. These jetties were constructed by different Chinese clans who facilitated immigration from the Chinese mainland and helped their fellow ‘clan members’ settle in Penang. 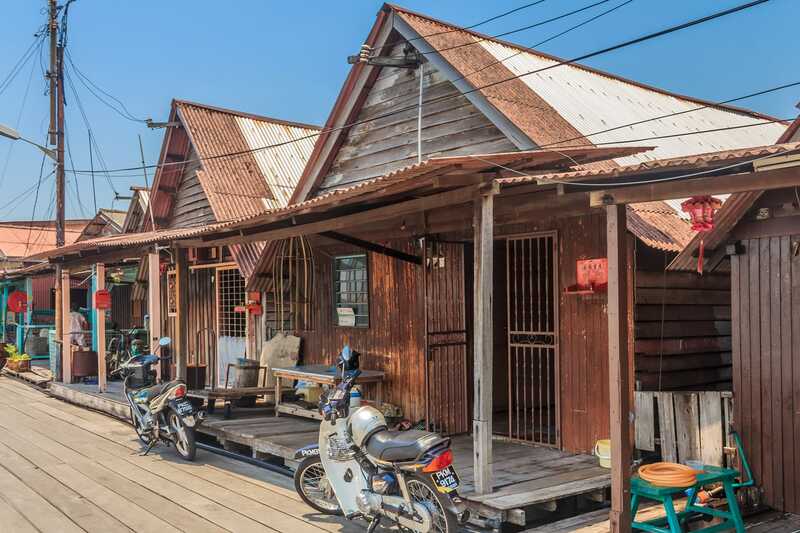 The jetties are essentially one large floating village of twisting wooden walkways and Chinese shops and houses, the perfect place to spend the late afternoon enjoying the history and the sea breeze. 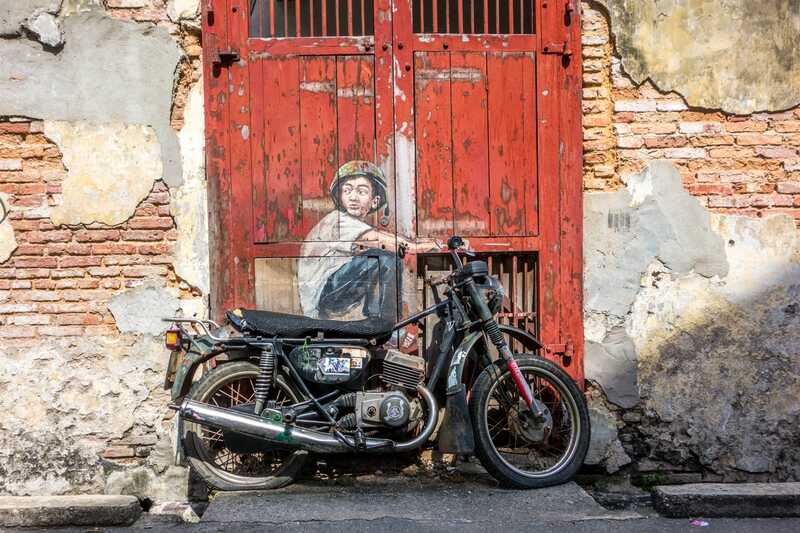 Your first evening in Penang should be spent experiencing the sights, sounds, smells and tastes of Chulia Street in George Town. 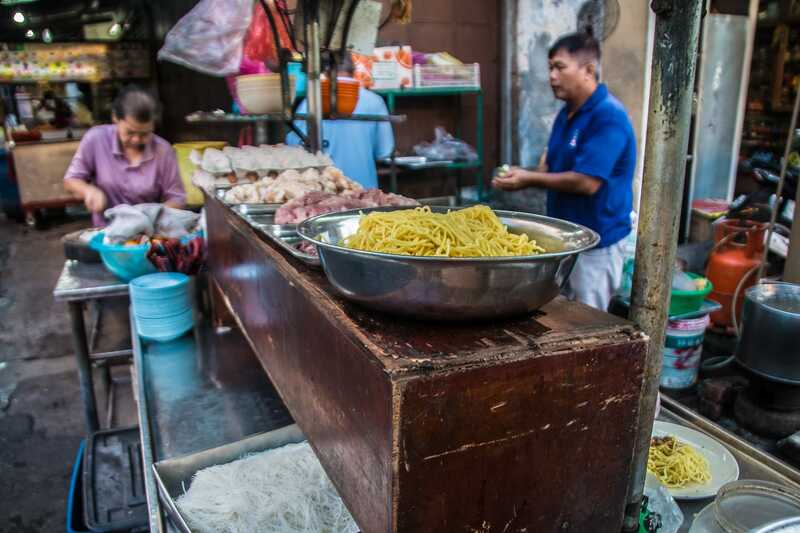 This is one of the oldest streets in Penang, and today it’s renowned for its variety and quality of street food. Hundreds of hawkers set up shop in the late afternoon and serve up all sorts of delicious street food into the early hours of the morning. Be sure to try the Asam Laksa, Penang’s signature Laksa dish. Dine out at one of the hawkers stands, then find a streetside bar to sit back in and listen to live music or simply watch life go by on the always interesting Chulia Street. Travel outside of George Town for your second day in Penang to enjoy other parts of the island. Get your walking shoes on and pack plenty of water and sunscreen for a full day of exploration. 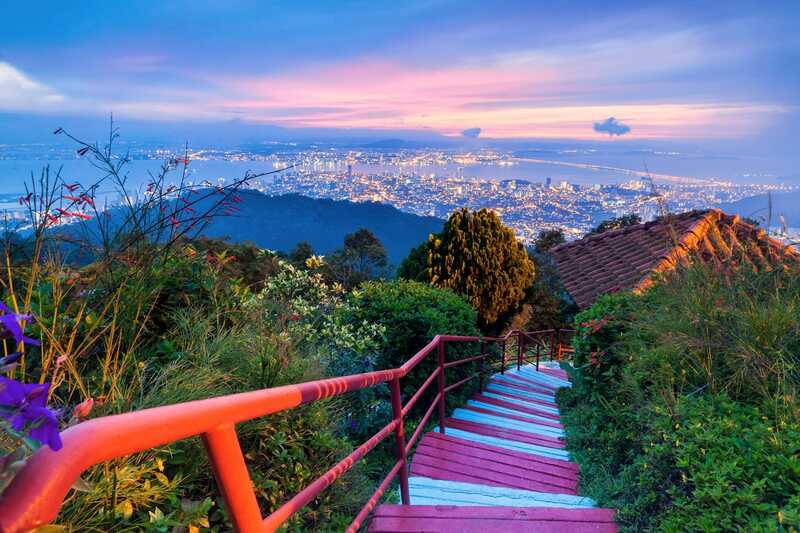 Start the day nice and early with a journey to the top of Penang Hill before it gets too hot. 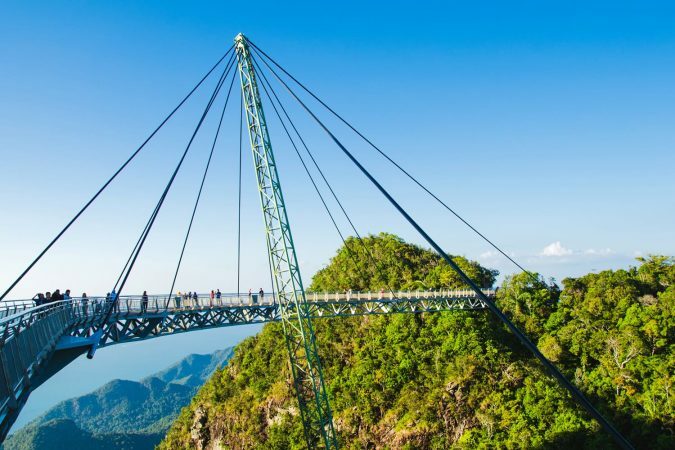 The highest point is 2732 ft (833 m) above sea level, and there are several walking paths that lead through the forest and offer spectacular views over George Town and the rest of the island. The walks are steep and arduous, but there is also a funicular railway running to the summit which makes the journey a lot quicker and easier. Before or after visiting the top, make sure to take a stroll around the Penang Botanic Gardens at the base of the hill. 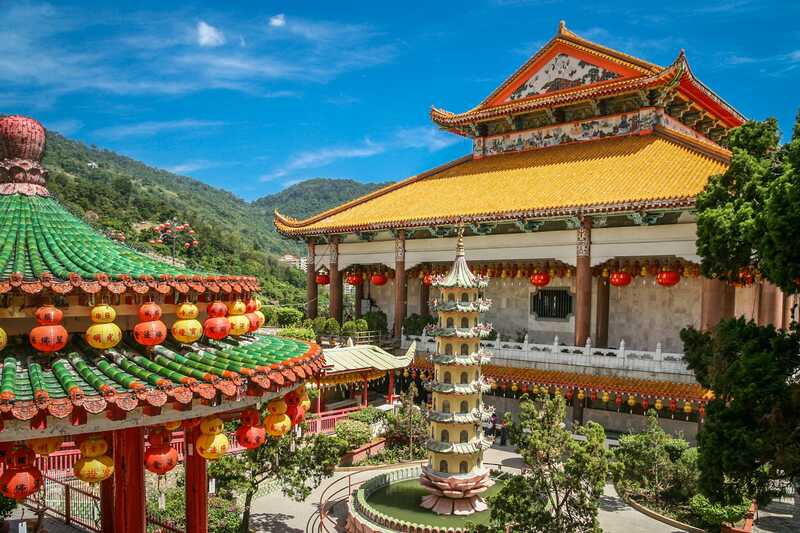 After you have experienced the beauty of Penang Hill, head to Kek Lok Si Temple, one of the largest Buddhist temples in Malaysia. The temple is home to the Pagoda of 10,000 Buddhas, literally a pagoda covered in 10,000 statues of Buddha, a fascinating sight to see. The temple is the main religious centre for the large Chinese community in Penang, and is regularly the scene of festivals and celebrations. Travel back to George Town to spend the cool, late afternoon exploring the colonial era waterfront, in particular the imposing Fort Cornwallis and the grand colonial architecture to learn more of the city’s history. As the sun begins to set, walk over to the vibrant and colorful Little India to experience the predominantly Tamil culture that continues to thrive in George Town. There are many temples to see as well as regular street parades and festivities to enjoy, especially in the evenings. Make sure to have dinner in one of the many curry houses. The food is always quality wherever you choose to eat in Little India. 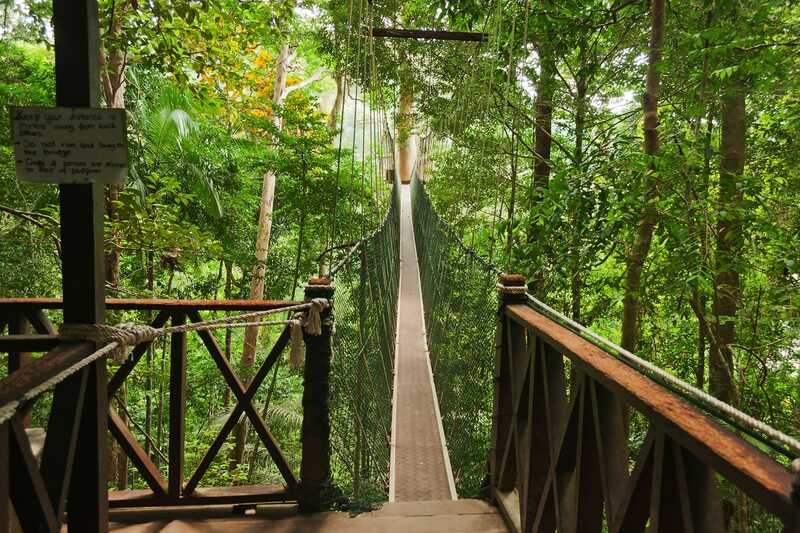 On the final day of your itinerary it’s time to explore Penang’s National Park, Taman Negara. 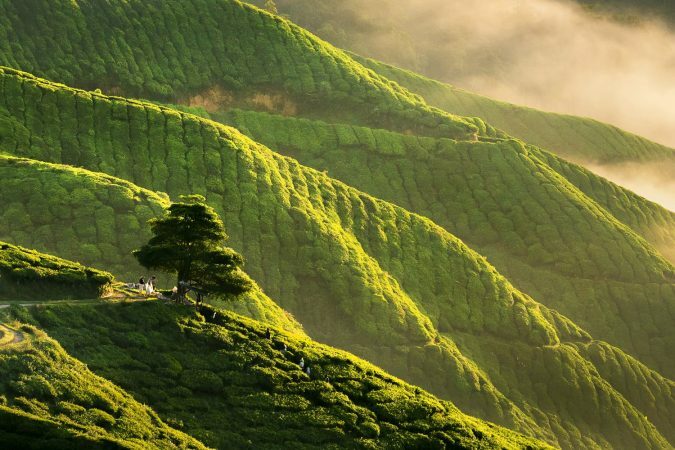 This is one of the best places to visit in Penang, especially if you love the outdoors. It’s easy to spend the whole day in this park, so prepare for a full day in the bright Penang sun. You’ll start off by traveling northwest to Teluk Bahang to find the entrance to the park and the start of the hiking trails. Monkey Beach is one of the most popular beaches in the park, but hiking here, through the jungle, can be a bit of a challenge, especially if you aren’t used to the humidity. If you don’t fancy a sweaty jungle hike, it is possible to hire a boat to take you from the park entrance along the shoreline to Monkey Beach. Of course, watch out for the monkeys that give this beach its name. 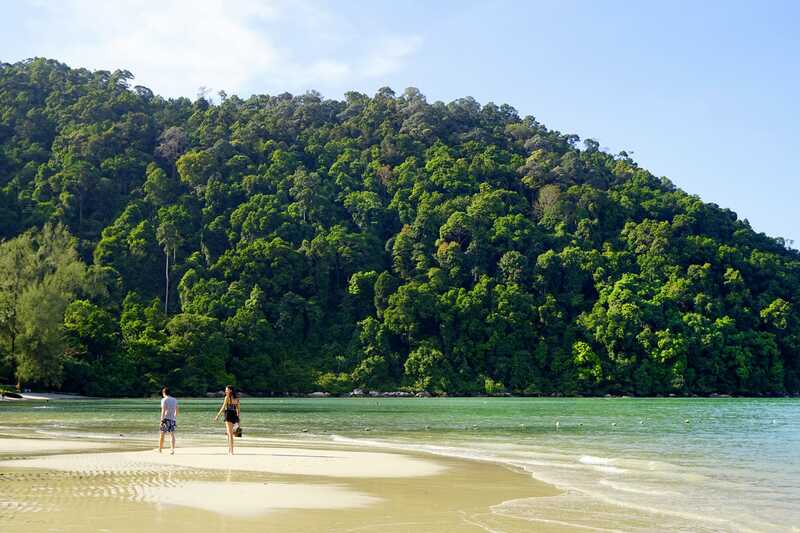 Kerachut Beach is one of the most pristine beaches in Penang, and it’s also a favorite nesting spot for turtles. At the beach you will find a turtle sanctuary and a research and scientific centre dedicated to these graceful marine creatures. 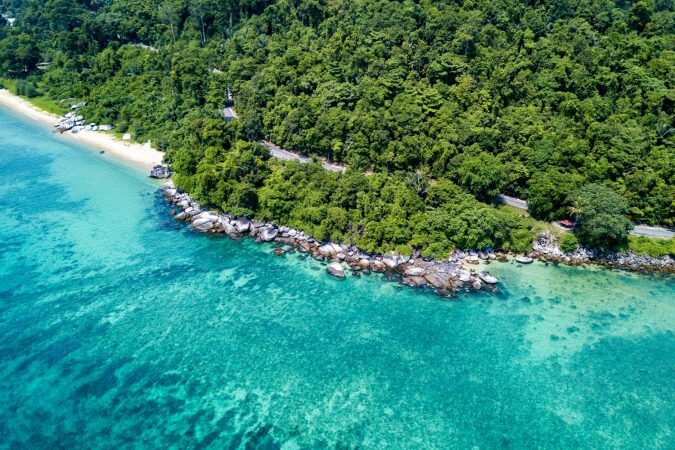 Green turtles and olive ridley turtles will make their way to this beach during their respective nesting seasons to lay eggs, but all year round the conservation centre is an excellent place to learn about Penang’s turtle visitors. After a day exploring Taman Negara, stop off in Batu Ferringhi on your way back to George Town. This is where the island’s upmarket resorts tend to be located because the beach is beautiful and the coastline is spectacular. 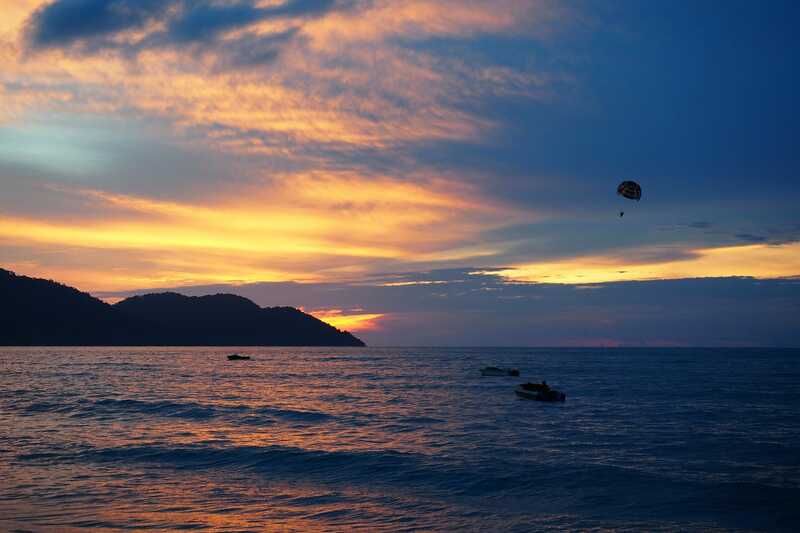 Watch the sunset on the beach and then head to Batu Ferringhi’s night market to enjoy even more of Penang’s delicious street food during your last evening on the island. And there you have it – 3 days in Penang. This itinerary should give you a good idea of what to do in Penang in 3 days. Feel free to adjust this itinerary to your needs, after all this is your vacation and we are only here to guide you. 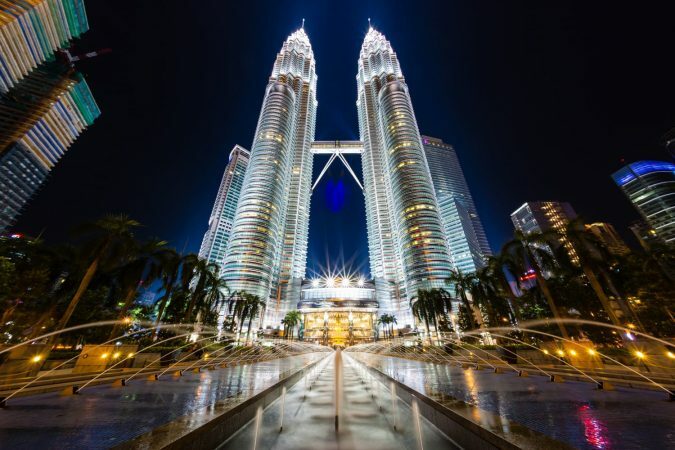 Planning a trip to Langkawi or Kuala Lumpur as well? Check out our Langkawi itinerary or Kuala Lumpur itinerary next.